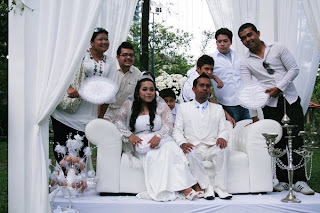 This time,i would like to share with all of you about my cousin's wedding. 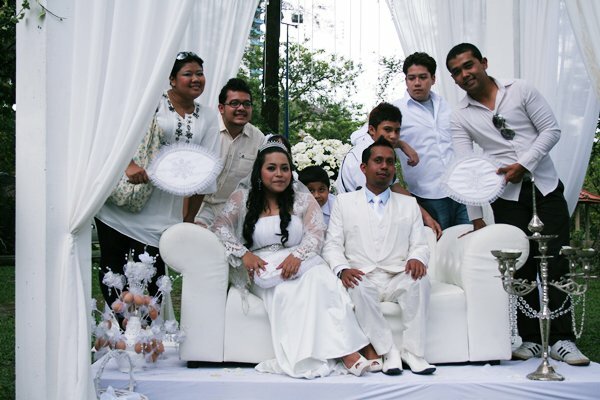 It's been held at Taman Rimba Kiara,TTDI on the 26th of December 2010 with a WHITE garden wedding theme. Oh, what a color. I need to wear in white. Do i look suitable in that color?? But i still need to wear in White. 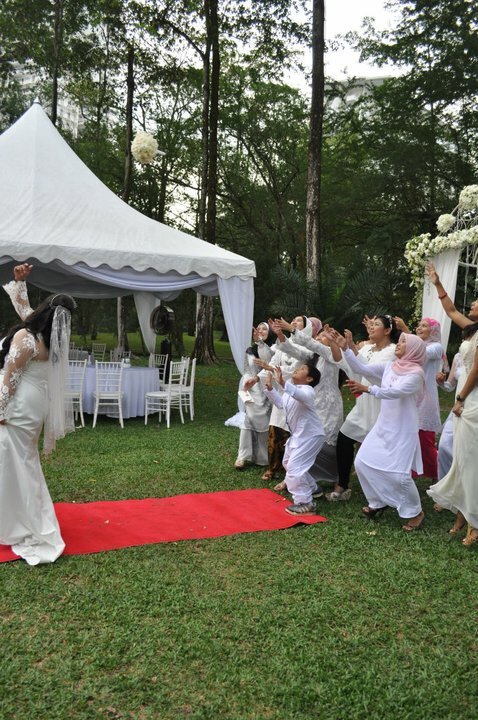 So,it is quite hard for a chubby girl like me to find a suitable white dress or 'baju kurung' . So, i decided to survey the price first before buying it. Me and my mom went out to Plaza Masalam, Sect 9 in Shah Alam and we found out a suitable white maxi blouse to be wear with legging. It cost RM139 only for the blouse. I decided to think about it first before buying. The day before the event, i'm still in my mission searching for the white blouse. So i decided to purchase the one that i and my mom found those day. I drove to Shah Alam, then i notice that it is to expensive and it is not suitable for me at all when i tried it. So i decided to move to the Giant Sect 13 to find a better option. At last , i found a white maxi blouse that cost me only RM60 for it . I grab it and continue my searching of legging. There's a Siamese expo at Tesco, Shah Alam and i dropped by to purchase a legging that cost me only RM15.Mission accomplished! 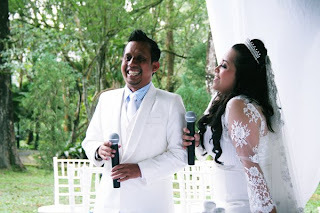 The event went smooth, the weather is great and the wedding is marvelous. Congratulations to my dearest cousin for your marriage and i wish you a bless marriage life till the end with lots of love. Hopefully,mine will follow. 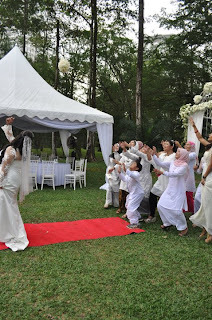 So, for those with a dream wedding that wanted to make it real, do follow My White Garden Wedding. Are you keeping the lace for a special occasion???? 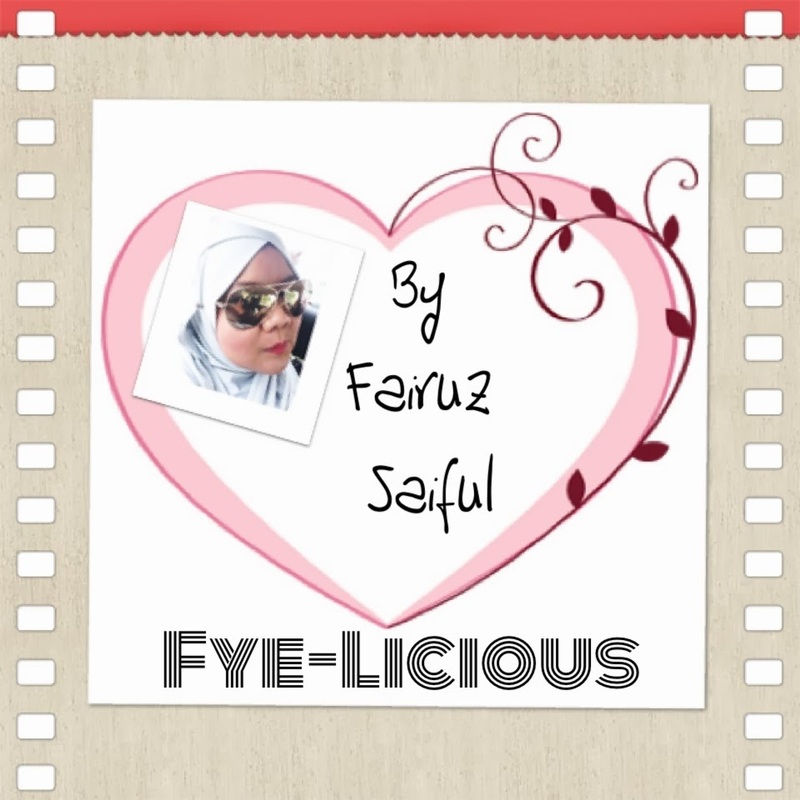 hehehe..mane taw nieh..syg la lace tu..cantek plak tuh..